Proprietary Name: Irelieve Roll On Cool Pain Relief What is the Proprietary Name? Irelieve Roll On Cool Pain Relief with NDC 72909-014 is a a human over the counter drug product labeled by Excel Health, Inc. 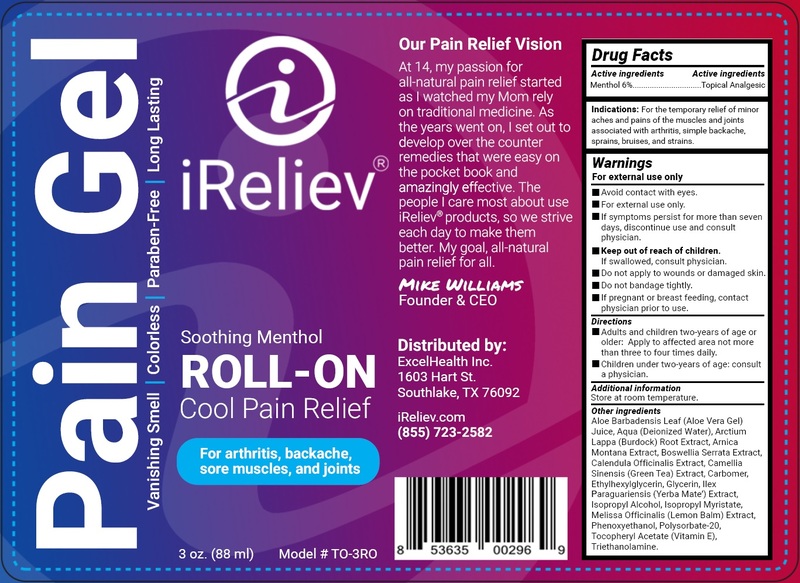 The generic name of Irelieve Roll On Cool Pain Relief is menthol. The product's dosage form is gel and is administered via topical form. For the temporary relief of minor aches and pains of the muscles and joints associated with arthritis, simple backache, sprains, bruises, and strains. For external use onlyAvoid contact with eyesIf symptoms persist for more than seven days, discontinue use and consult physician.